Envirotactics is your environmental resource for all of your Licensed Site Remediation Professional (LSRP) needs per the New Jersey Department of Environmental Protection’s (NJDEP’s) 2009 Site Remediation and Reform Act (SRRA). Under the LSRP program, all responsible parties are required to hire LSRPs for remediation and cleanup oversight, as well as regulated underground storage tank (UST) removals. Envirotactics’ LSRPs are highly sought after and recognized leaders within the environmental industry. Our capabilities and project experience range from small commercial projects to some of the largest, most complex industrial sites within New Jersey. The LSRP program allows for a streamlined approach to investigation and remediation projects which results in expedited case closure. Envirotactics’ LSRPs and staff have a comprehensive understanding of all aspects of the LSRP program’s technical guidance including data usability evaluations, ecological evaluations, vapor intrusion, and attainment and compliance through modeling. As part of your due diligence needs, Envirotactics can assist you with investigating potential environmental liability through the completion of Phase I Environmental Site Assessments, Transaction Screens, and Preliminary Assessments. During property acquisition or loan applications, due diligence often requires completion of a Phase I Environmental Site Assessment (Phase I ESA). All Phase I’s are performed in accordance with the American Society for Testing and Materials (ASTM) standards and are performed in a timely manner with strict attention to detail and accuracy. A Phase I ESA will provide liability coverage under the United States Comprehensive Environmental Response, Compensation, and Liability Act (CERCLA), also known as the “Superfund” act. In circumstances where a full Phase I ESA is not required, Envirotactics will perform Transaction Screens according to ASTM Standards or conduct a site “walk-through.” While not providing the full inquiry of a Phase I, these practices can provide valuable information and identify potential liabilities. Envirotactics conducts Preliminary Assessments for sites that require approvals from the NJDEP for site investigations, Green Acres Grants or Industrial Site Recovery Act (ISRA)-subject transactions. 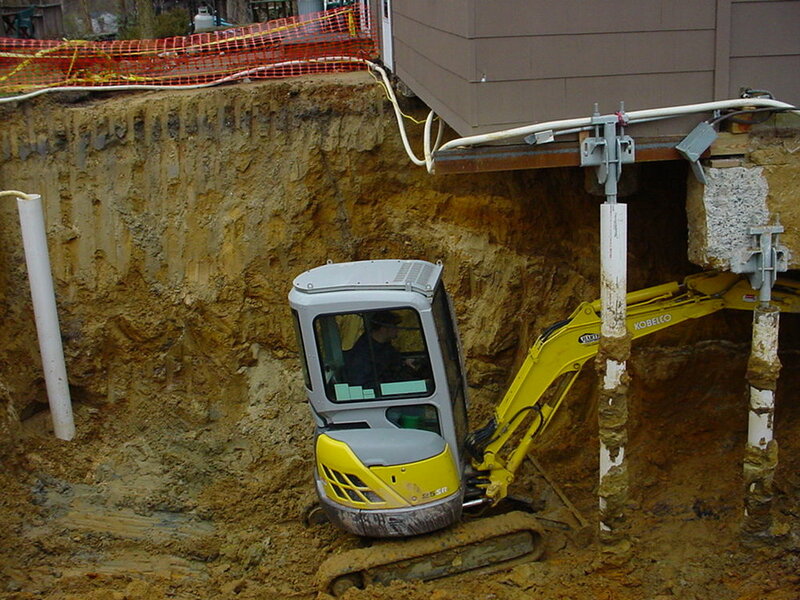 Preliminary Assessments are conducted pursuant to the NJDEP’s “Technical Requirements for Site Remediation” (N.J.A.C. 7:26E) and provide additional liability coverage under the New Jersey Spill Act. Envirotactics provides complete site investigation and remediation services from initial site characterization through the remediation and closure of the project. Envirotactics specializes in performing subsurface soil and groundwater investigations and sampling. Investigative techniques used include conducting geophysical surveys, surface sampling, test pits, soil borings, monitoring well installation, and soil vapor gas surveys. Regulatory sampling guidelines and quality assurance/quality control procedures are followed and maintained at all times. Envirotactics maintains laboratory accreditation from the NJDEP for groundwater sample collection. Envirotactics has extensive experience remediating sites by implementing technologies that can include excavation and disposal, advanced modeling techniques, bioremediation, pump and treat systems, or in-situ remediation. The site’s conditions, required timeframes and cost effectiveness are evaluated to determine the best remediation strategy to meet the client’s goals. Envirotactics has extensive experience performing UST investigations, removals and abandonments. Envirotactics performs all phases of residential and commercial UST projects utilizing Occupational Safety and Health Administration (OSHA)-trained and NJDEP-certified personnel. In New Jersey, many transfers of industrial properties are subject to the ISRA. Change in ownership, sale or change of operations, and cessation of operations are some of the transactions that are subject to ISRA. Envirotactics provides all aspects of ISRA case management including assistance with determining ISRA applicability, preparation and submission of General Information Notifications (GINs), Preliminary Assessment Reports (PARs), Negative Declaration Affidavits, Site Investigation Reports (SIRs), and Remedial Action Reports (RARs). • Vapor dispersion modeling and air permitting. • Aerial drone surveys & geospatial mapping. As land use regulations continue to become more stringent and complex, Envirotactics has the regulatory expertise to guide your development from site selection to final build-out in all regulated land use areas. Envirotactics performs land use assessments on residential, commercial and industrial properties in order to help our clients determine the environmental constraints of the property and guide the development from the earliest and most cost-effective stages. The assessments provide clear and concise recommendations regarding property yields and regulatory pathways to approval. Based on the location of the site, various land use issues will be reviewed including but not limited to: Coastal Area Facility Review Act (CAFRA), Freshwater Wetlands, Flood Hazard Area, and Threatened and Endangered Wildlife. Envirotactics recommends performing this initial assessment prior to the purchase or development of your site. If wetlands are known or are expected on your site, they can restrict the area of proposed development. Envirotactics’ wetlands experts will delineate the wetland boundaries on your site and provide the anticipated transition area (buffer) width in order to provide the developable area of any parcel. Envirotactics develops comprehensive and cost-effective solutions required for mitigation and restoration needs for various special areas including but not limited to steep slopes and wetlands. The proper design and execution of mitigation and restoration plans can ensurethe success of these projects and reduce overall costs. Envirotactics performs initial and species specific habitat assessments and surveys in support of land use permit applications. Surveys can include snake trapping studies, raptor surveys, and amphibian species surveys, among others. Envirotactics prepares EIS in support of your site development if required by the municipal review process. We are prepared to meet all regulatory requirements of the municipality associated with your project. Envirotactics works with both the client and the NJDEP to develop a cost effective and mutually beneficial solution to Land Use Enforcement issues. We have provided assistance to property owners regarding damages of various types including, but not limited to illegal docks, clearing of regulated wetlands/steep slopes and public access issues. Envirotactics will provide expert testimony for land use cases. Envirotactics has represented homeowners, developers and conservation groups during their judicial proceedings with the NJDEP and other agencies. Envirotactics performs asbestos investigations on properties ranging from single residential properties to large industrial complexes. These investigations assist our clients in real estate transactions, renovations, and demolition projects. Many municipalities require an asbestos investigation prior to approving demolition permits.